Action Cycle -SS-Vintage was developed after a long history of doing business in the motorcycle industry. We sell, restore and repair vintage motorcycles. 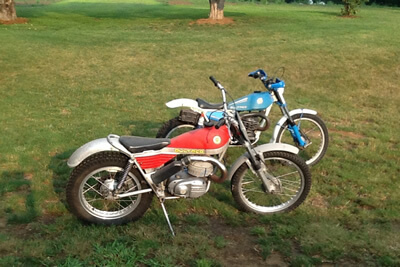 There is a selection of project bikes available and a number of barn finds. Sam has a long standing love of Bultacos and an impressive collection. As a member of VJMC, he also has a fine selection of Japanese bikes..See us annually at Mid-Ohio and Barber Vintage Festival in Alabama.